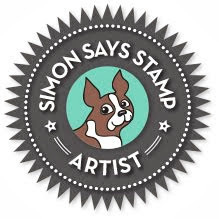 Simon Says Stamp January 2015 Card Kit Winner! I'm popping by real quick to announce the winner of the fabulous Simon Says Stamp January 2015 Card Kit: Winter Wonderland. The papers in this cut look scrumptious! I love the snowflake one you chose and the little details you added with the tickets. Congrats, Cynthia! 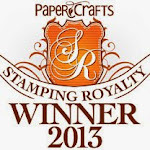 Please email me via my side bar with your shipping info and I'll pass it along to the sweet folks at Simon Says Stamp! Thanks so much for stopping by! I hope you all have a blessed Christmas! 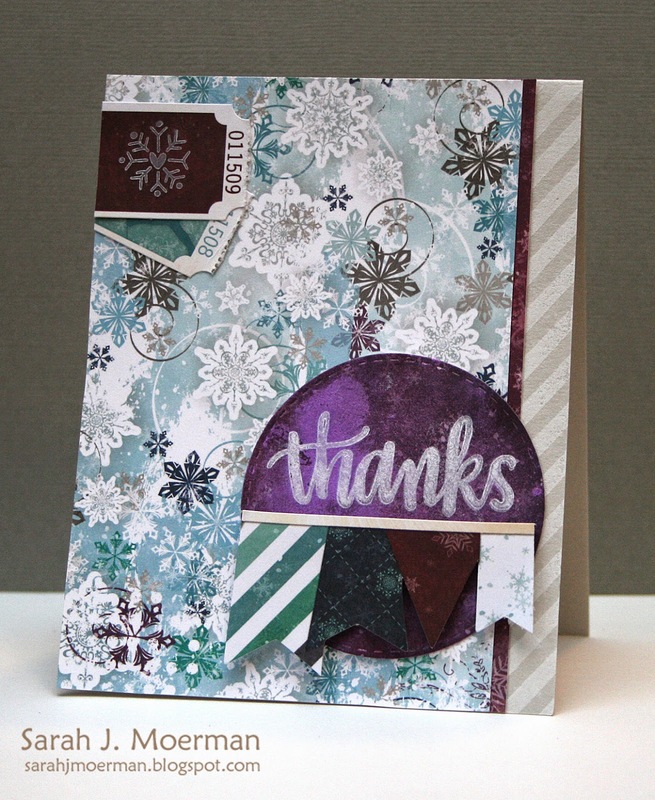 Snowflakes Thanks (Simon Says Stamp January Card Kit & GIVEAWAY)! I'm back to share a final card using the Simon Says Stamp January 2015 Card Kit: Winter Wonderland. 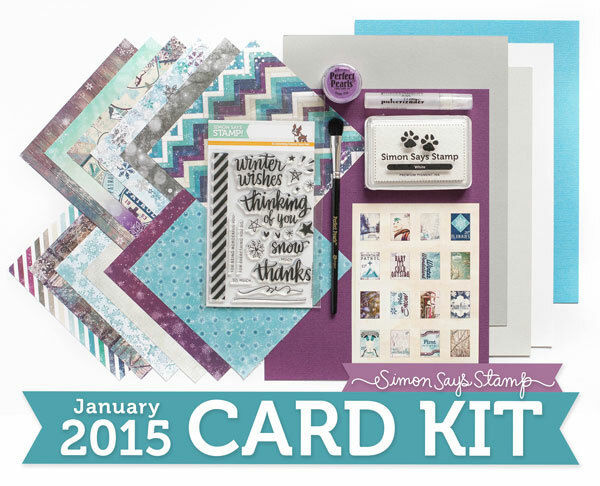 You can pick up the Simon Says Stamp January Card Kit HERE for just $29.95 + shipping. If you'd like to receive this kit and future kits for only $24.95 + shipping per month, you can SUBSCRIBE HERE. GIVEAWAY!!! Sweet Heidi, owner of Simon Says Stamp, has given me another Simon Says Stamp January Card Kit to giveaway! 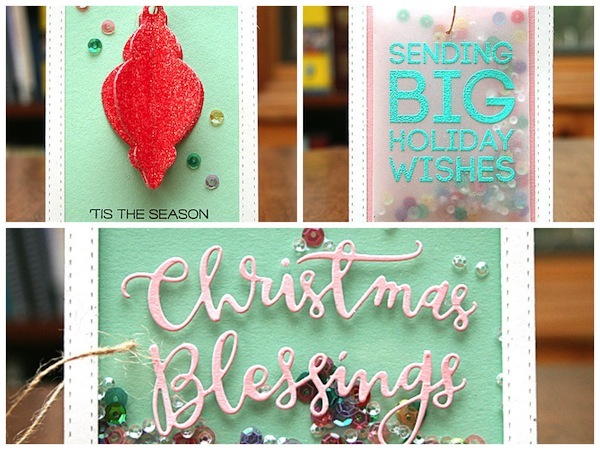 Just leave a comment on any of my card kit posts and I'll announce a winner Monday, December 22nd. I'm honoured to have been invited to hang out on the Simon Says Stamp Blog today where I'm sharing a couple of shaker gift tags and another one featuring a 3D ornament. Thanks for stopping by and please head over to Simon's blog for a closer look and instructions on how I made these gift tags. Simon Says Stamp January Card Kit and GIVEAWAY!!! Simon Says Stamp DieCember™ 2014 Bog Hop!